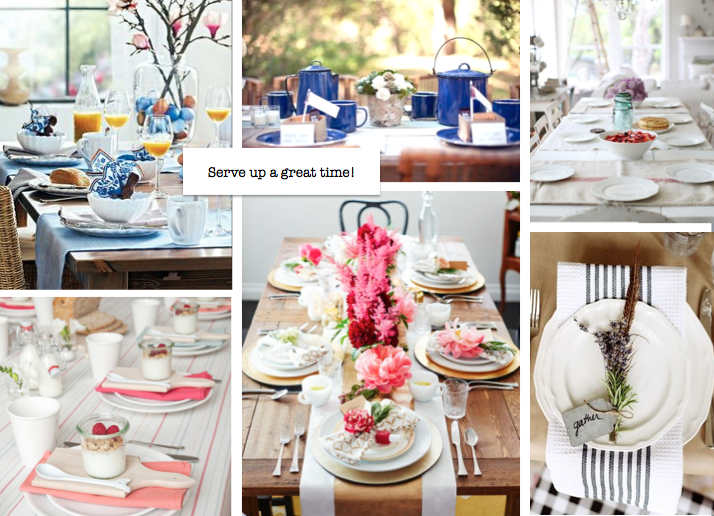 Hosting guests for a great meal doesn’t just mean dinner parties. 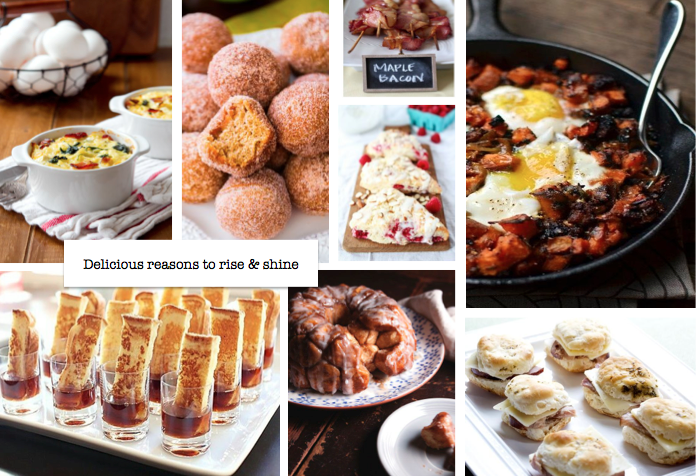 Breakfast entertaining can, and should, be fun & filling too! 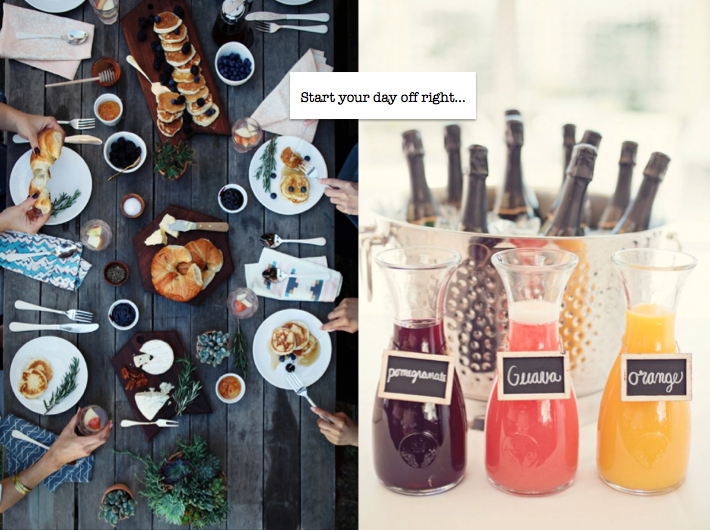 Start off the morning off with a little bubbly! Make entertaining easy…the last thing you want to do at any feast you host is spend more time in the kitchen than enjoying making memories with your guests. A lot of breakfast treats you can make it advance and wait to cook until the morning. The less mess and prep you need to endure the day of, the better. Take the time to set a table, buy some flowers (remember friends, Trader Joe’s $3 bouquets! ), pour some coffee & make your guests feel at home. Ever wonder how to make your eggs fit perfectly onto a breakfast biscuits like our friends at MCD? 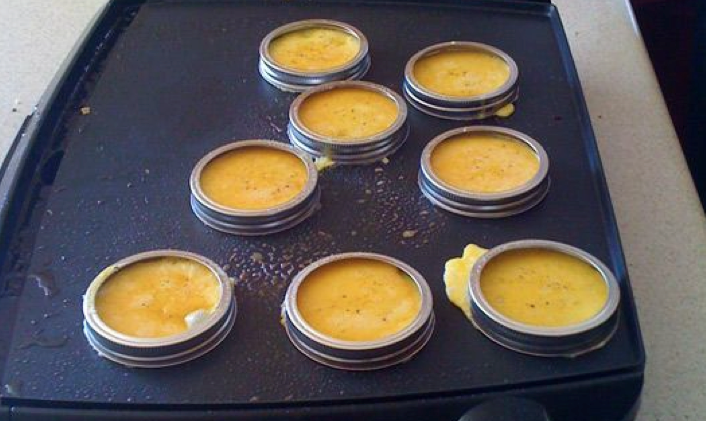 Pour your eggs into the lid of a mason jar while cooking them and voila!